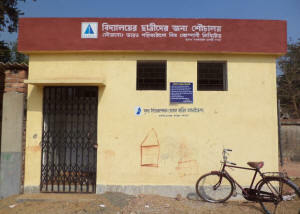 A new toilet for girl students at a school in Murshidabad district in the eastern Indian state West Bengal. Photo: Sulabh International/IPS. KOLKATA, Apr 19 2014 (IPS) – In large parts of rural India, the absence of separate toilets for growing girls is taking a toll on their education. Many are unable to attend school during their menstrual cycle. According to the country’s Annual Status of Education Report in 2011, lack of access to toilets causes girls between 12 and 18 years of age to miss around five days of school every month, or around 50 school days every year.